Your mid-February selection includes a new Lent resource by Jane Williams, a collection of Easter Vigil homilies by Pope Francis, a book from Matthew Fox on the names we use for God, an award winning children’s picture book on grief and a thoughtful book about being the type of elder the world needs by Stephen Jenkinson (who is visiting NZ in April-May). 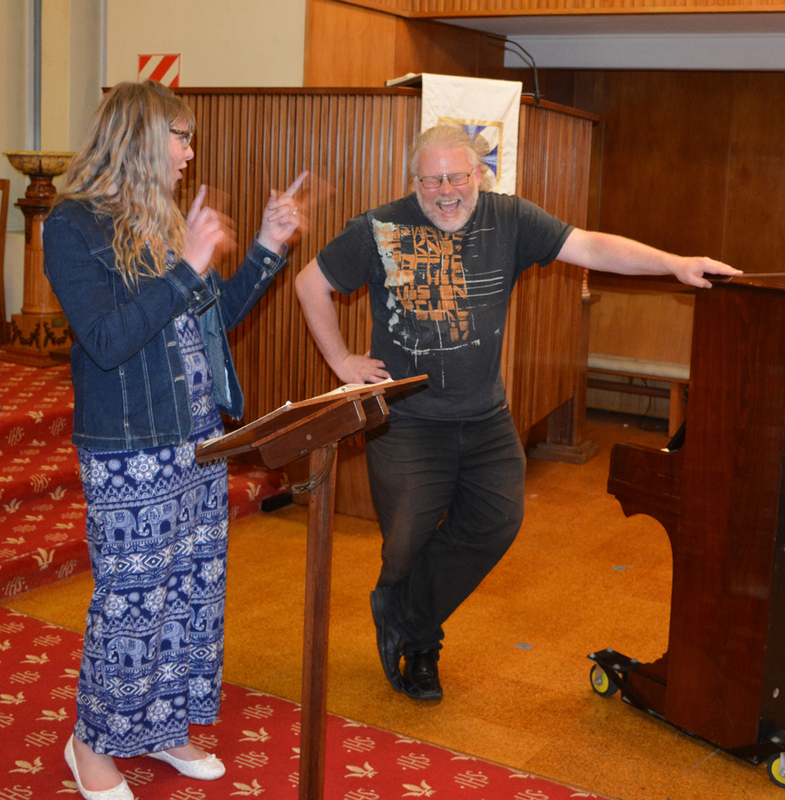 Wellington, Porirua and Hutt Valley customers – Come and sing with my choir Festival Singers in 2019. 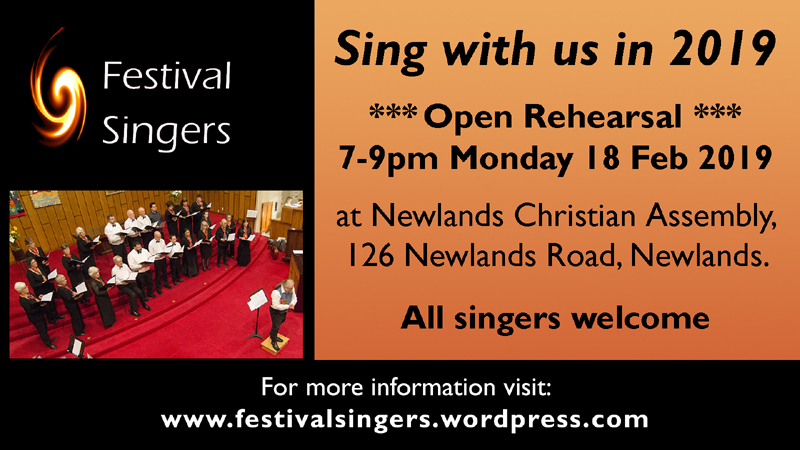 See the invitation to our open rehearsal on 18 Feb at the bottom of this page. St Augustine’s insight was that it is only the merciful humility of God that could penetrate our armoured pride. 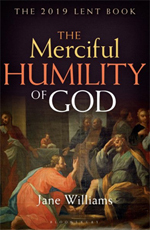 As we follow this book and the Biblical narrative through Lent, God’s merciful humility as the source of life begins to emerge. Risen and ascended into humility. This reflective Lent book will be a trusted guide for anyone seeking a deeper understanding of God’s humility during this religious period. Each chapter is usefully followed by suggestions for personal or group response and for further reading. Here are the homilies Pope Francis has preached year-after-year, in Buenos Aires and more recently in Rome, on the most sacred night of the Christian calendar. While Francis’s words and convictions on many topics are now widely known, here we see how he understands the very heart of Christian faith and the ways he has helped those he has served – including the elderly, the poor, and those who struggle to make a living and raise children in a busy world – understand it and apply it to their own lives. 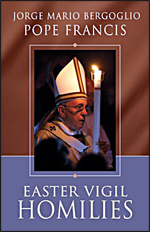 This book will be a welcome resource for those who want to understand better the faith that drives Pope Francis, for homilists seeking new inspiration for their preaching, for scholars and others interested in exploring the pre-papal preaching of Jorge Mario Bergoglio, for adult Christians as a resource for meditation and prayer, and for any of the ever-growing number of admirers and fans of this remarkable moral leader. Seven Teachings of St. Francis. 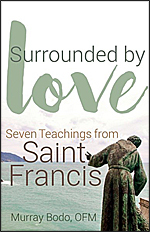 Franciscan Murray Bodo illuminates seven key teachings from St. Francis and shows how these teachings are the foundation for Franciscan spirituality today. Beginning with the wonder of the incarnation, he moves through the paradox of evangelical poverty, living the Gospel, repairing God’s house, making peace, the recognition that we are one with all of creation, and the joy and humble service of God. All of these teachings have their roots and destination in the love of God that surrounds all of creation and each individual person. 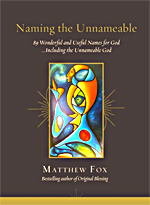 89 Wonderful and Useful Names for God …Including the Unnameable God. How many names for Divinity are there? Do the names for God change as we mature as individuals, evolve as a species, and face a critical “turning time” in human and planetary history? Too often, notions of God have been used as a means to control and to promote a narrow worldview. Fox ignites our imaginations by offering a colourful range of Divine Names gathered from scientists and poets and mystics past and present, inviting us to always begin where true spirituality begins: from experience. 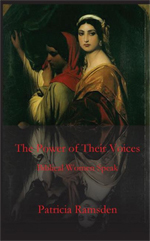 Many of the stories of women in the Bible have been sadly neglected. These imaginative interpretations of just a few of these remarkable characters give even familiar stories a fresh perspective and allow the listener to enter into their reality in a different way, bringing them to life once more. They allow us to capture the emotions of these very different women as we rediscover the eternal truths of faith and love, betrayal and grief, victories and defeats. These narratives have been performed as one woman playlets complete with costuming to sermons delivered from the pulpit while wearing just a simple scarf as a headdress. The sermons can also be used as the springboard for a group Bible study or a discussion on the roles of the characters in their own time as well as similarities and differences with our lives and times. A New Look at the Good Book. Loveday neither requires, nor rejects, belief. He sets out to help intelligent adults make sense of the Bible – a book that is too large to swallow whole, yet too important in our history and culture to spit out. 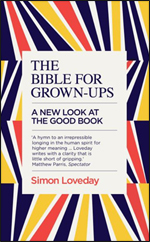 Literary critic Loveday’s book – a labour of love that has taken over a decade to write – is a thrilling read, for Christians and anyone else, which will overturn everything you thought you knew about the Bible. A breathtakingly beautiful and luminescent book that is pitch-perfect for anyone of any age who has experienced any type of loss or disappointment. New York Times-bestselling author-illustrator Brian Lies has created a beautiful, accessible, and deeply personal story about friendship, loss, and renewal. 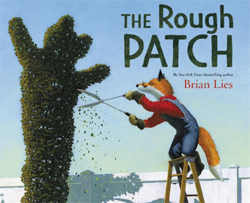 The Rough Patch was awarded a Caldecott Honor and features stunning paintings. But beauty grows in the darkest of places, and when a twisting vine turns into an immense pumpkin, Evan is drawn out of his isolation and back to the county fair, where friendships – old and new – await. The Quest for the Historical Church. The well-worn saying about being condemned to repeat the history we do not know applies to church history as much as to any other area of history. But how can we discern what lessons we need to learn from the many centuries of church history? In this small but thoughtful volume, respected theologian and churchman Rowan Williams opens up a theological approach to history, an approach that is both nonpartisan and relevant to the church’s present needs. 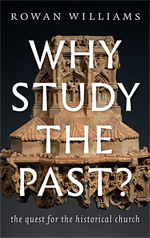 As he reflects on how we consider the past in general, Williams suggests that church history remains important not so much for winning arguments as for clarifying who we are as time-bound human beings. For too long, the history of Christianity has been told as the triumph of orthodox doctrine imposed through power. 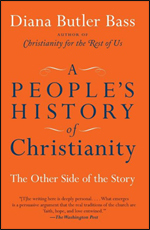 Historian Diana Butler Bass sheds new light on the surprising ways that many Christians have refused to conform to a rigid church hierarchy and sought to recapture the radical implications of Jesus’s life and message. The Case for Elderhood in a Time of Trouble. Jenkinson makes the case that we must birth a new generation of elders, one poised and willing to be true stewards of the planet and its species. Come of Age does not offer tips on how to be a better senior citizen or how to be kinder to our elders. 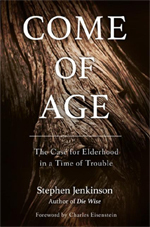 Rather, with lyrical prose and incisive insight, Jenkinson explores the great paradox of elderhood in North America: how we are awash in the aged and yet somehow lacking in wisdom; how we relegate senior citizens to the corner of the house while simultaneously heralding them as sage elders simply by virtue of their age. Our own unreconciled relationship with what it means to be an elder has yielded a culture nearly bereft of them. Come of Age is a love song inviting us – imploring us – to elderhood in this time of trouble. That time is now. We’re an hour before dawn, and first light will show the carnage, or the courage, we bequeath to the generations to come. Jenkinson is visiting New Zealand in April / May 2019. A Guide to Boundaries, Joy, and Meaning. In a culture that ranks sociability and extroversion above the introverted traits of deep thinking and being alone, Ilse Sand shows how to find joy and meaning as an introvert or highly sensitive person. What she says is appropriate for people who are temporarily, or for some other reason, in a sensitive situation – for example, because of stress, trauma or burn-out. 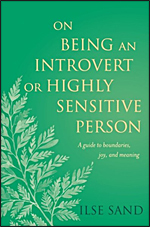 It describes the introverted personality type and the highly sensitive trait, highlighting the strengths that come with it such as good listening skills and rich imagination, and suggests ways to overcome the negatives such as the need to avoid overstimulation and over-critical thinking. Wipf & Stock Publishers (2018). 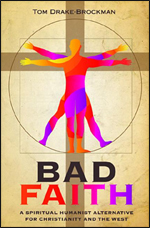 “…The book’s usefulness lies in what it offers to those who are candidates for that ‘scripturally-based’ certitude which holds an eerie attraction for so many men and women of faith today. 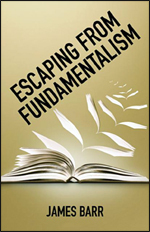 It should be read not only by those who are candidates for fundamentalism, but also by all pastors and pastoral workers who must deal with the problem of fundamentalism in our midst. As a matter of fact, I think that it ought to be read by all who esteem the scriptures, properly understood, to be of singular importance for the church and its Christian faith.” Raymond F. Collins, Professor of New Testament in the Catholic University of Louvai. 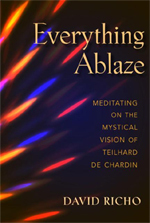 Meditating on the Mystical Vision of Teilhard de Chardin. This prayerful and practical response to the work of Teilhard de Chardin begins with an introduction to his work. It then explores mystical themes in his perspectives on science and religion. 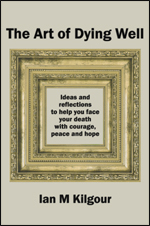 Each chapter combines relevant quotations from Teilhard and contemplations on them. The goal of mystical transformation is nothing less than a new life in Christ. Teilhard shows us the path to that possibility. His mysticism is earth-conscious. His words help open us to the mysterious forces in the universe that reveal God’s face. The meditative responses to the quotations include practices that bring Teilhard’s ideas into daily life and will be welcomed by a general audience. A Spiritual Humanist Alternative for Christianity and the West. This is just one of many challenging propositions backed with strong evidence that appear in this book. Jesus, like most Jews, was attuned to faithfulness rather than pure faith, to ethical behaviour based on human empathy rather than metaphysical beliefs and rituals. Therefore, Jesus came not to save us, but to show us how to save ourselves. How did a group of charismatic, apocalyptic Jewish missionaries, working to prepare their world for the impending realisation of God’s promises to Israel, end up inaugurating a movement that would grow into the gentile church? Committed to Jesus’s prophecy – “The Kingdom of God is at hand!” – they were, in their own eyes, history’s last generation. 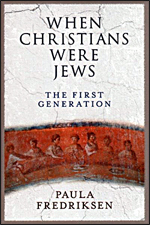 But in history’s eyes, they became the first Christians. In this electrifying social and intellectual history, Fredriksen reconstructs the life of the earliest Jerusalem community. As her account arcs from this group’s hopeful celebration of Passover with Jesus, through their bitter controversies that fragmented the movement’s mid-1st century missions, to the city’s fiery end in the Roman destruction of Jerusalem, she brings this vibrant apostolic community to life. The Art of Gentle Protest. Corbett shares her journey from burnt-out activist, tired of marching, confrontation and demonising opposition, towards a more respectful activism: using craft to contemplate global issues and start conversations rather than arguments; to engage, empower, and encourage people to become part of change in the face of injustice. 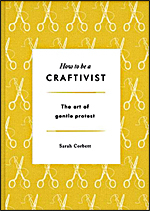 Interwoven with Sarah’s personal stories of causes fought are ideas and suggestions for every novice craftivist. From how to think about the medium itself to looking at colour, fonts, size, and message, here is inspiration for every detail of your creation. This is a book to initiate debates rather than shouting matches, to enable collaboration in place of confrontation. If we want a world that is beautiful, kind, and fair, shouldn’t our activism be beautiful, kind, and fair? A Guide for Activists, Advocates, and Allies. The Faith in Action Writing Collective. 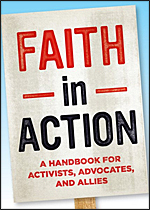 Faith in Action offers quick dives into a range of topics, from racial justice to environmental concerns, from LGBTQIA equality to indigenous people’s rights, from women’s equality to disability rights, from mass incarceration to immigration. Each topic includes informative visuals and data, as well as practical suggestions for what you can do to make a difference in your community. Created by contributors with varied experiences in activism, faith, policy, and social change, Faith in Action will deepen your perspectives on important issues. This book will give you the knowledge, tools, and confidence to make a real impact – to step out into the world and be an activist, advocate, and ally. Do you want a more effective Facebook presence for your church, organisation or business? This book starts with the basics, such as the difference between a Facebook Page (for organisations) and a Facebook Profile which is your personal Facebook account. This book then helps you create a Facebook marketing plan designed to attract your desired audience. Inside, you’ll discover the psychology of the Facebook user, establish a social media presence, increase your brand awareness, integrate Facebook marketing with other marketing strategies, learn to target a specific audience, and much more. I’ve started using Facebook advertising more to promote our books and our choir. 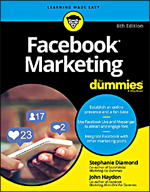 This book has been a practical, valuable guide to both the details of setting up adverts and the economical opportunities Facebook offers to engage with customers. But What If She’d Said ‘no’? Wipf & Stock Publishers (2019). Here are 15 back-stories about events described in the Bible. They include creation, the plagues of Egypt, David and Goliath, Jonah, the Annunication, the feeding of the five thousand and the events of Holy Week and Easter. Each story is told from the perspective of someone who was either present during the event or who has heard of it from those who were. For example, the plagues of Egypt are seen through the eyes of a small Hebrew boy; two Roman centurions discuss the Easter events. 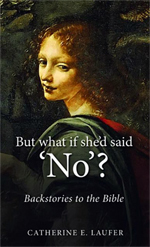 The one story without a biblical basis is a response to Richard Dawkins and the new atheists. The book aims to communicate Christian faith in a medium that is attractive to those who do not read formal theology or are hesitant about reading the Bible, both Christians and non-Christians.